When Britain’s American colonies declared their independence in 1776, one of the greatest problems facing the Continental Congress was financing the war effort. The supply of refined silver and gold, as well as the raw ore from which these metals were taken, was quite small in the American colonies. The great gold and silver discoveries of the 1800s were still decades away, and the only coining metal available from domestic mines in any reasonable amount was copper. In the initial enthusiasm of 1776, several of the new states made plans for a copper coinage of their own. One state that actually went through with this idea was New Hampshire. In March, its House of Representatives appointed a committee to look into the practicality of minting copper coins. The committee recommended that William Moulton be assigned the task of coining 100 pounds of copper into pieces valued at 108 to the Spanish Milled Dollar. These fascinating coins, of which fewer than ten are known today, display on one side a tree and the inscription AMERICAN LIBERTY. The other side features simply a harp. Oddly, however, there is no mention anywhere on these coins that they were issued by New Hampshire! In that same year of 1776, Massachusetts produced an attractive copper piece of which but a single specimen is known today. Its obverse displays a pine tree, the symbol of a Cambridge, Massachusetts patriotic society called the Sons of Liberty. On the reverse is the familiar seated figure of Britannia which, while symbolic of the hated Britain, was used here because it was typical of the copper coins in circulation and would ease acceptance. The great rarity of this historic penny suggests that it was only a pattern. Who prepared the dies and struck this issue remains unknown to this day. Aside from these two examples, the grand plans of the individual states to produce their own coinage ultimately came to nothing until after the war’s end. The economic uncertainty that typically accompanies wartime led to the hoarding of all coins, and there was simply no point in making new ones. The War of Independence was concluded by treaty in 1783. At that time, Americans still used the English reckoning of pounds, shillings and pence. This awkward division of the pound into 240 pence dated from ancient times. The first to propose a decimal system for American coinage was Gouverneur Morris, the assistant superintendent of finance. In 1782, he came up with an elaborate system based on a unit of value called, simply, the unit. There would be silver coins valued at 100 units and 1000 units, as well as a gold coin of 10,000 units. Robert Morris (who was not related to Gouverneur) was the superintendent of finance, and he was so impressed by his assistant’s plan that he actually commissioned engraver Benjamin Dudley to establish a mint. 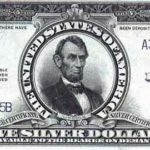 Only a few patterns were struck, however, since America simply lacked an adequate supply of silver and gold. Not one to give up, Gouverneur Morris decided to mint copper coins instead, using the same design but without a stated value. 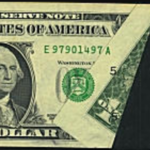 Prominent on the obverse of each piece is the All-Seeing-Eye of God (a Masonic symbol), surrounded by rays and stars, while the reverse features a simple wreath enclosing the letters US. These coins were made in England by a private mint run by the Wyon Family. More than a million of these coppers were struck and shipped to America, where they were usually valued at one-half penny. 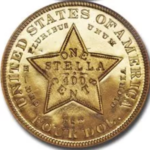 The Constellatio Nova pieces were the first circulating coins to bear American imagery and inscriptions. They’re also common enough that any collector can own one. The Articles of Confederation, which loosely governed the thirteen states from 1778 until 1789, permitted each state to mint its own coins. Before any of the United States undertook such a coinage, Vermont, then an independent republic, beat them to it. Like most of the copper coins, those of Vermont were produced by private companies under contract to the government. In 1785, Reuben Harmon, Jr., of Rupert, Vermont was given an exclusive franchise to mint coppers. The design of these coins features a view of the sun rising over a mountaintop, which is covered in pine trees. Below this are a plow and the date. The reverse of these coins is similar to that of the Constellatio Nova coppers. After just a year, the Vermont coppers were redesigned to resemble the worn British halfpence which formed the majority of copper coins in circulation. The new issue featured a profile bust of a man wearing leather mail, similar to the familiar portrait of King George III. The reverse of each coin showed the seated goddess Britannia. While these revised coppers look like British coins, at least their mottoes are American. In this form, Vermont coppers were made as late as 1789, though the later issues were counterfeits made at a notorious site called Machin’s Mills near Newburgh, New York. Thomas Machin and his partners made a speciality of producing fakes of whatever copper coins were being most widely accepted at the time. Since the popularity of each issue varied from one year to the next, he even overstruck the designs of one coin type on existing coins of another type to take advantage of this shifting favor! Among the issues that Thomas Machin counterfeited were the copper coins of New Jersey and Connecticut. The State of New Jersey passed a bill on June 1, 1786 that called for the minting of copper coins to a total of three million pieces. The chief proponent of this plan was General Matthius Ogden. 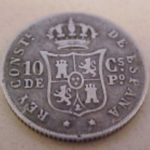 The new coins were to be valued at fifteen pieces per New Jersey shilling (each state then regulated the value of money within its borders). The men selected to perform this coining were Thomas Goadsby, Walter Mould and Albion Cox. The design of the New Jersey coppers features a horse’s head with a plow beneath it on the obverse, and the date appears beneath the plow on most examples. On the back of each coin is a shield with thirteen stripes. Connecticut also had a coinage of its own during this same time period. The Company for Coining Coppers was formed by four individuals who obtained a franchise in 1785. Joseph Hopkins and Samuel Bishop were members of the State Assembly, and their partners were John Goodrich and James Hillhouse. These coins were struck from 1785 to 1789 and were similar in appearance to the second issue of Vermont coppers. More than 340 varieties are known, and some collectors have made a specialty of this series. For most, however, just a single coin will do. 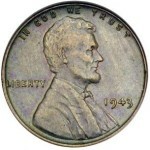 Fortunately, Connecticut coppers are perhaps the most common of the state coins, and examples may be obtained at a very reasonable price. The Commonwealth of Massachusetts elected to create its own state-run mint. It did this on October 17, 1786, appointing Boston goldsmith Joshua Wetherle as the mintmaster. The coins which resulted from this operation are some of the best made and most attractive of the early American pieces. The obverse of each coin displays the standing, male figure of a Native American, holding a bow in his right hand and an arrow in his left. The reverse of these coins features an eagle in a heraldic pose, with a shield upon its breast. One particularly novel feature of the Massachusetts coins is that they come in two distinct sizes, each having a stated value. On the shield appears either CENT or, for the smaller coins, HALF CENT. The State of New York was officially opposed to issuing coppers. When the coining petition of Ephraim Brasher and John Bailey failed to move the legislature, Bailey proceeded to manufacture copper coins of his own which displayed a New York theme. They are known as the Nova Eborac (Latin for New York) coppers. Though rarer than the other state issues, these privately made pieces were evidently produced in enough numbers to remain collectable today. In fact, there were a number of unofficial or privately made issues produced to meet the general demand for copper coins of halfpenny size. Most of these pieces were struck in relatively small numbers and are rare today. They exhibit a variety of themes, many depicting portraits of George Washington that range from the highly accurate to the completely ridiculous. Other copper halfpence often included in American collections are actually English merchant tokens which have vaguely American themes. Perhaps the most historically significant of the pre-federal United States coins are the Fugio Cents, which take their name from the Latin word fugio (I fly) appearing on their obverse. 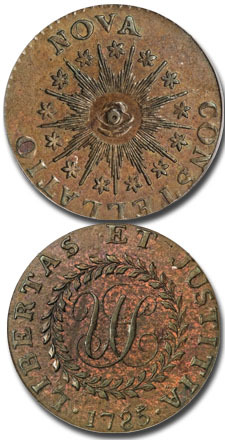 Though privately manufactured by James Jarvis of New Haven, Connecticut and his partners, the Fugio Cents were commissioned by the infant United States government on April 21, 1787. On the obverse of each cent appears a sundial, as well as the sun itself. On the reverse are thirteen interlocking rings, each of which bears the name of one of the colonies. At the center are the words AMERICAN CONGRESS and WE ARE ONE. This expresses the unity that the American colonies needed to protect their independence. The message was particularly important, since most Americans were loyal to their own state, but they didn’t initially feel much connection to the nation as a whole.